Norman Buckley, 57, is a Yakima native and graduate of A.C. Davis High School. After briefly studying engineering at Washington State University, Norm worked with Yakima Valley Young Life for about nine years and worked as a youth pastor at Yakima FourSquare Church. He also was the director of family ministry at a local Presbyterian church before entering the nursing program at Yakima Valley College. Now a registered nurse, he’s been working for Avail Home Health Inc. for his entire medical career. These are a few of his favorite things. “No place would be great without friends and family,” Norm said with a smile before listing each of his seven children — four boys and three girls. They’re Rory, Becca, Josh, Austin, Collin, Shauna and Lainy. He also has five grandchildren: Jude, Jackson, Sophia, Ariah and Pearson. None of the other items on his favorites list — all of which are very Washington state and Yakima Valley-specific — would be complete if he wasn’t enjoying them either with members of his family or his girlfriend, Therese. “Anyone who knows me knows I love beer,” Norm smiled. And he’s a huge fan of all the local spots throughout the entire Yakima Valley. Valley Brewing Co. is his favorite, but he’s also a huge fan of Single Hill Brewing Company, Bron Yr Aur Brewing Co. and Bale Breaker Brewing Company. “And there’s lots more to explore,” he said. Valley Brewing Co. is at 3215 River Road in Yakima. 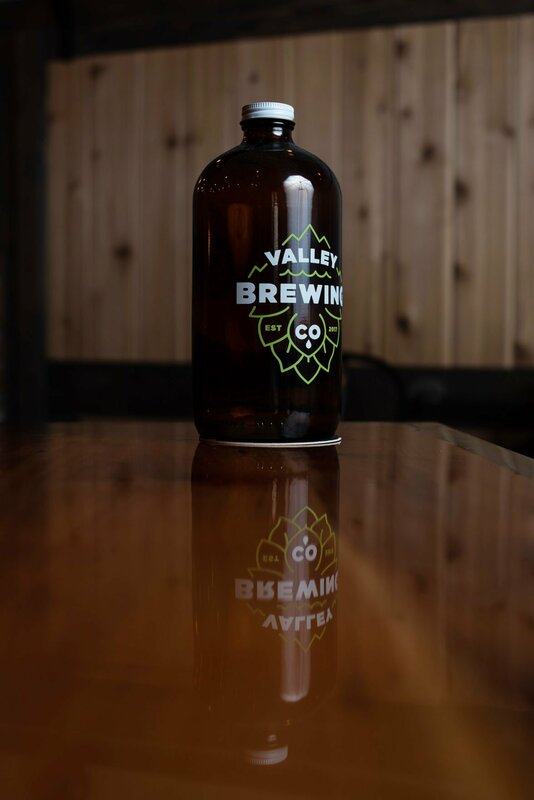 Check out the website www.valleybrewingco.com for their story and everything you need to know about the company. And with so many great local options, Norm said picking favorites is difficult. “That’s a tough one,” he said. Right here in town, Norm pointed out Gilbert Cellars and Kana Winery, but there are plenty of others, he notes. Check out everything you need to know about Gilbert Cellars at www.gilbertcellars.com and go to www.kanawinery.com for information on Kana Winery’s award-winning wines. Norm also mentioned Wilridge and their incredible events and venue. Visit www.wilridgewinery.com to find out more. He’s also a fan of Provisions Restaurant and Market, Cowiche Canyon Kitchen and Icehouse Bar and Norm’s of Yakima. “There’s just so much good food in this town,” he marveled. Norm also notes the wide variety of great Mexican food — everything from Antojitos Mexicanos Restaurant to Santiago’s, he said. Crafted is one of those spots that keeps popping up on everyone’s lists. It’s located at 22 N. First St. in Yakima. Check out the website at www.craftedyakima.com and be sure to follow the restaurant on social media for beautiful photos and the latest information. “When the winter starts going off in the spring, you can start with Cowiche Canyon and the whole conservancy,” he said. “The Tieton Nature Trail, and you can do Mount Clemens and then go up to Edgar Rock. And Union Creek. There’s so many amazing places you can just go hike around,” he said. Even outside hiking, Norm’s got a pretty impressive athletic history, both as a coach and a long distance runner. He coached at Connell High School for six years. He also coached track and field and cross-country at Davis, Naches and La Salle. He’s also completed three Ironman triathlons since breaking onto the triathlon scene about six years ago. Find hikes, become a member and learn everything you need to know from Washington Trails Association. Check out www.wta.org for more information.